For many months, a regular feature of American news has been accusations of ‘fake news’ directed at mainstream media organizations. For numerous people, including me, this has been a disturbing accusation. However, for our purpose, it does raise a useful question: How do journalists working for mainstream organizations guard against providing false information in their reports? That integrity in reporting remains important to some was highlighted by the action taken by CNN a few months ago. “Three prominent journalists at CNN resigned … after the cable news network was forced to retract and apologize for a story on its website involving a close ally of President Trump.”1 Perhaps we shouldn’t be completely surprised. Some news organizations, upon discovering errors in their reporting, regularly admit to the errors—even tiny ones. The New York Times is an organization that puts its errors on public display on the Web on a daily basis.2 The Guardian is another, and it includes corrections for matters as trivial as an incorrect clue in a crossword puzzle.3 These organizations seem willing to acknowledge their errors, but how do they try to prevent them in the first place? Humility says to “not print one iota beyond what you know”, and that journalists should always check out what they are unsure of. Imagine applying these standards to your Facebook or Twitter news feeds. How much of the information you see there was posted by others with principles like those of the APA and API in mind? How often have you followed such standards when you posted, liked, or re-tweeted something? Do you feel an obligation to the truth and always check out what you are unsure of? If the ‘news’ provided via tools like Facebook and Twitter is read and accepted as factual, think about how phenomenally powerful such tools can be (and clearly are) in spreading false information. “Eliminate the usual suspects” suggests the obvious—if you learn something from an Internet source you have previously realized traffics in nonsense or unsubstantiated gossip, you should ignore it. “Trust, but verify” advises that you be prepared to believe what you read if it’s from a source you trust, but that you check carefully you’re not being fooled. For example, they would prefer you not believe anything you see from a Twitter account named “@globeandmai1”. It might look like the Globe and Mail’s, but there’s something a bit off about that last character. “The smell test” suggests that you carefully check any Internet source that’s new to you. Do a website’s main and ‘About’ pages look credible? 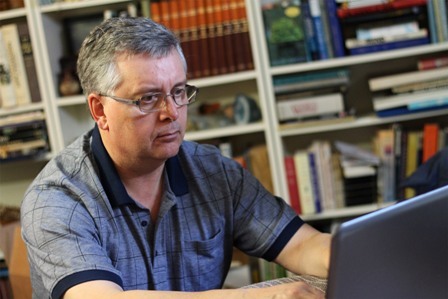 Is an email message you’ve received coaxing you to follow a suspicious link? “A second opinion” advises exactly that. If your news source seems legitimate, does the story it’s reporting fit with information from other (credible) sources? From where I sit, it’s an easy choice: I much prefer to get my important news from sources that at least claim adherence to standards of honesty and integrity, like many of the traditional mainstream organizations. I’ll worry most about getting ‘fake news’ from all of the other sources. 1 Michael M. Grynbaum, “3 CNN Journalists Resign After Retracted Story on Trump Ally.” The New York Times, 26 June 2017, https://www.nytimes.com/2017/06/26/business/3-cnn-journalists-resign-after-retracted-story-on-trump-ally.html, Accessed 30 Aug 2017. 2 “Corrections.” The New York Times, https://www.nytimes.com/section/corrections, Accessed 30 Aug 2017. 3 “Corrections and clarifications.” The Guardian, https://www.theguardian.com/news/2017/aug/29/corrections-and-clarifications, Accessed 30 Aug 2017. 4 “Principles of Journalism.” American Press Association, http://americanpressassociation.com/principles-of-journalism/, Accessed 15 Oct 2017. 5 Paul Farhi, “American Press Institute to merge with NAA Foundation.” The Washington Post, 22 Mar 2012, https://www.washingtonpost.com/lifestyle/style/american-press-institute-to-merge-with-naa-foundation/2012/03/22/gIQA8hDkUS_story.html?utm_term=.10992431537d, Accessed 15 Oct 2017. 6 “Journalism as a discipline of verification.” American Press Institute, https://www.americanpressinstitute.org/journalism-essentials/verification-accuracy/journalism-discipline-verification/, Accessed 30 Aug 2017. 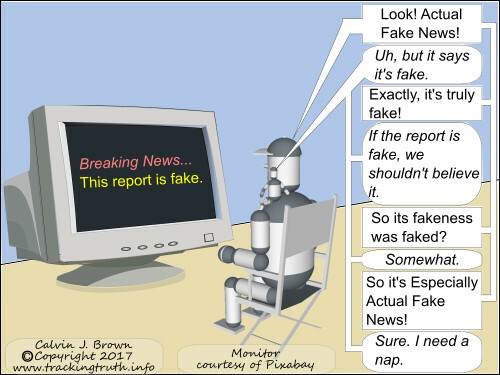 7 “What is 'fake news,' and how can you spot it?” The Globe and Mail, https://beta.theglobeandmail.com/community/digital-lab/fake-news-quiz-how-to-spot/article33821986/?ref=http://www.theglobeandmail.com&, Accessed 30 Aug 2017.